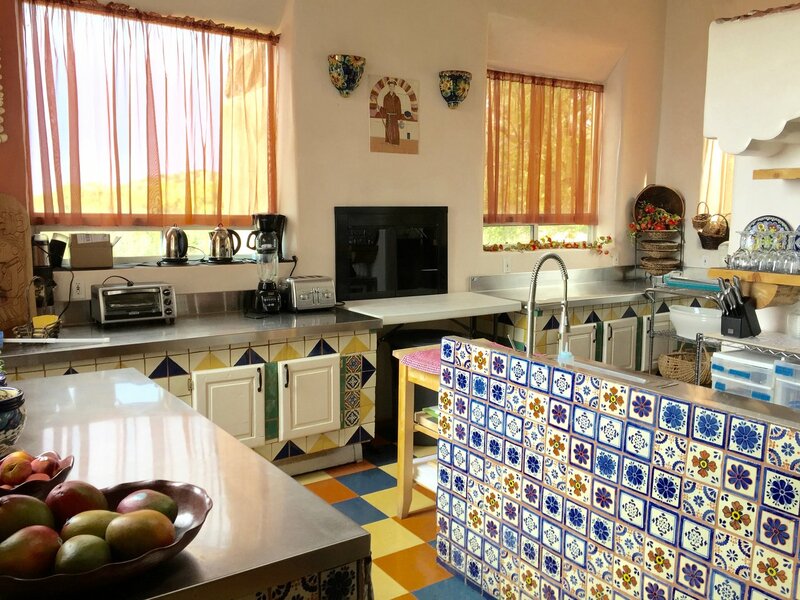 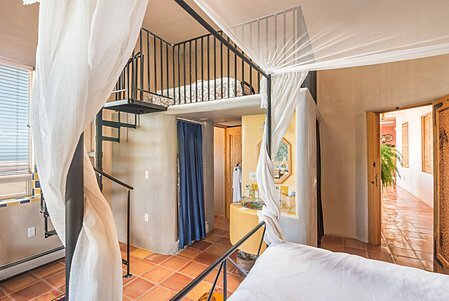 Hacienda Dona Andrea, a gorgeous approximately 9300 sq. 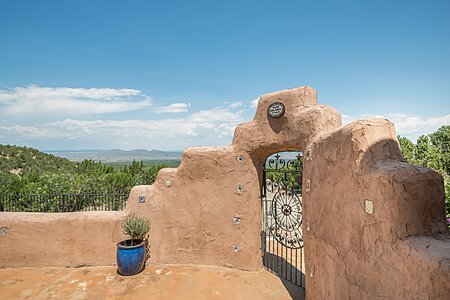 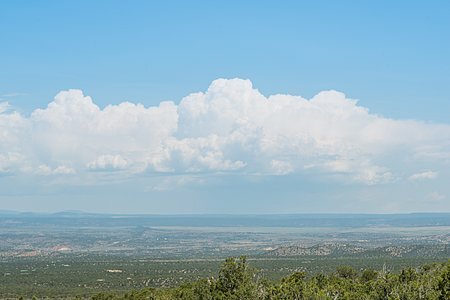 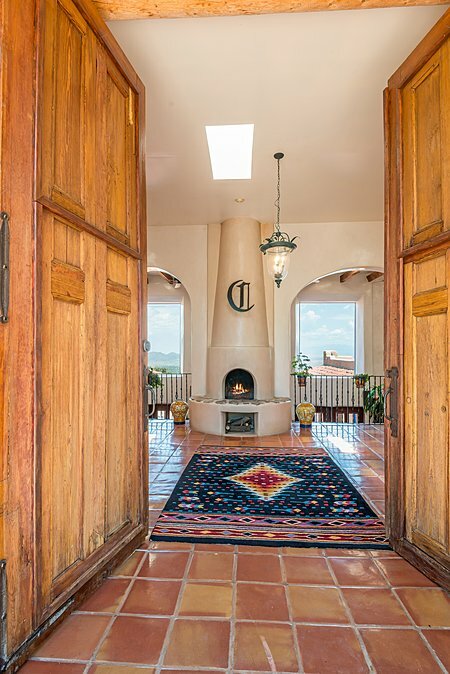 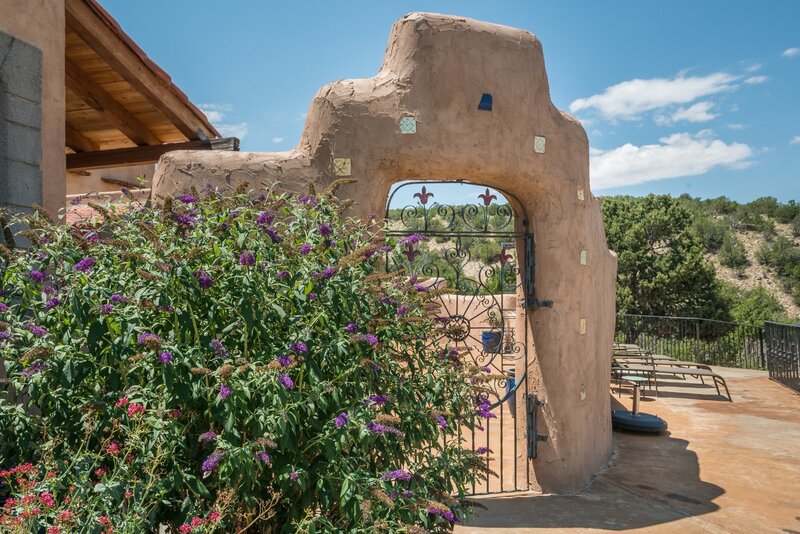 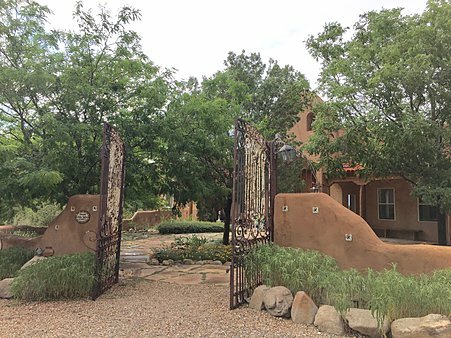 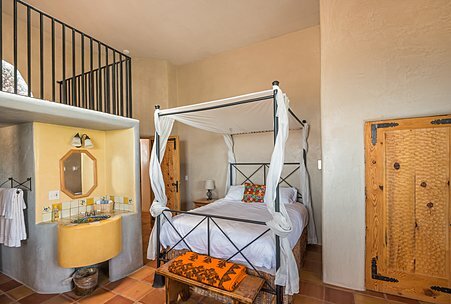 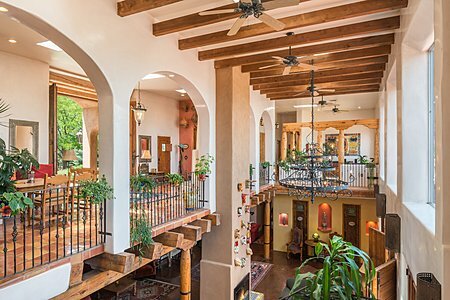 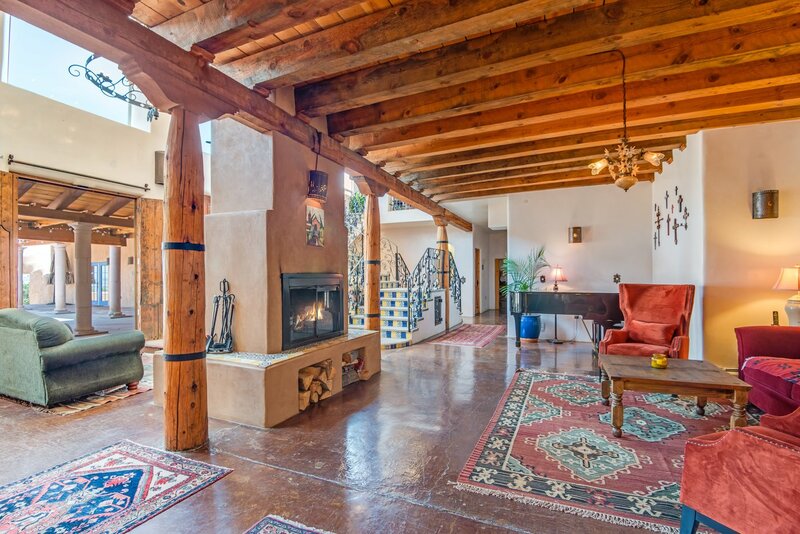 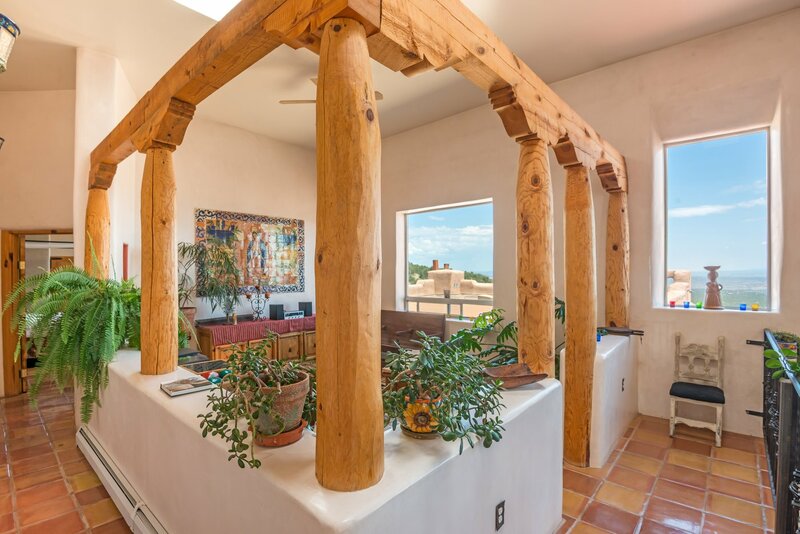 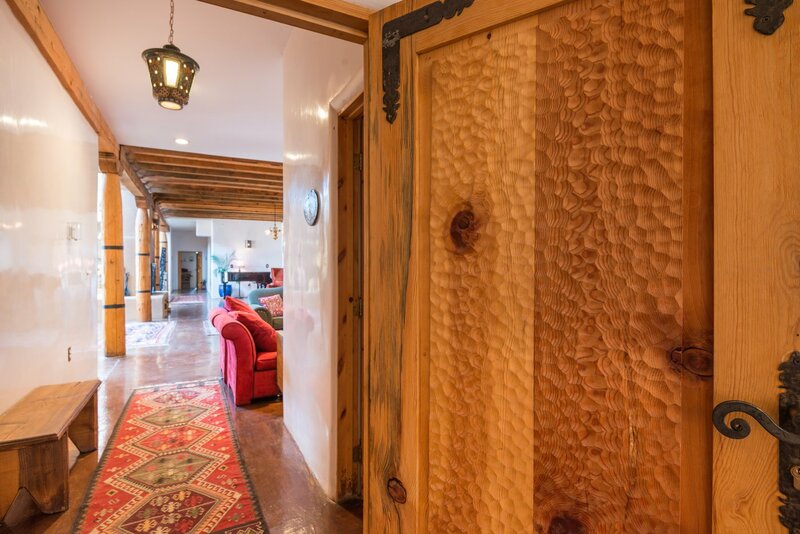 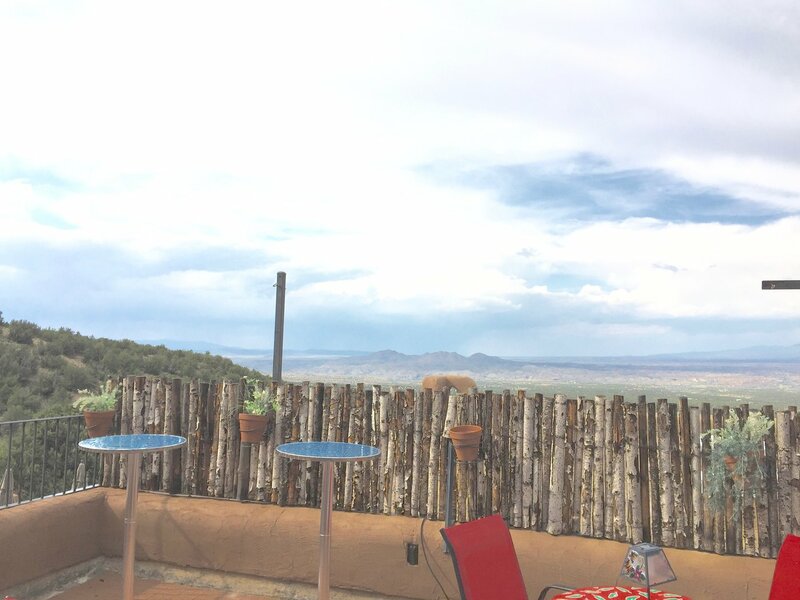 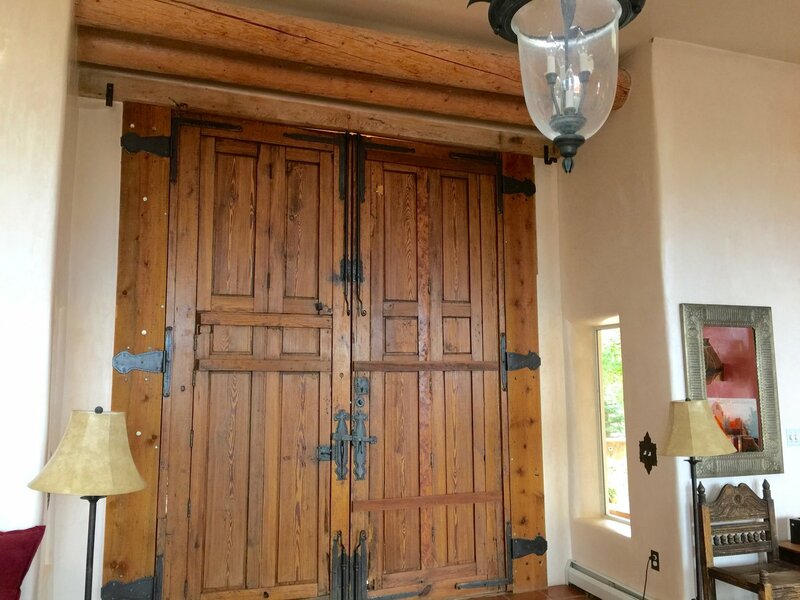 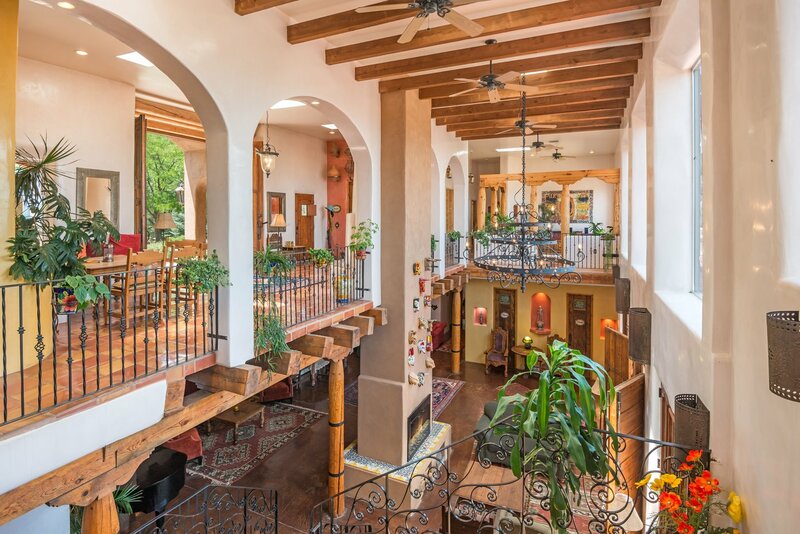 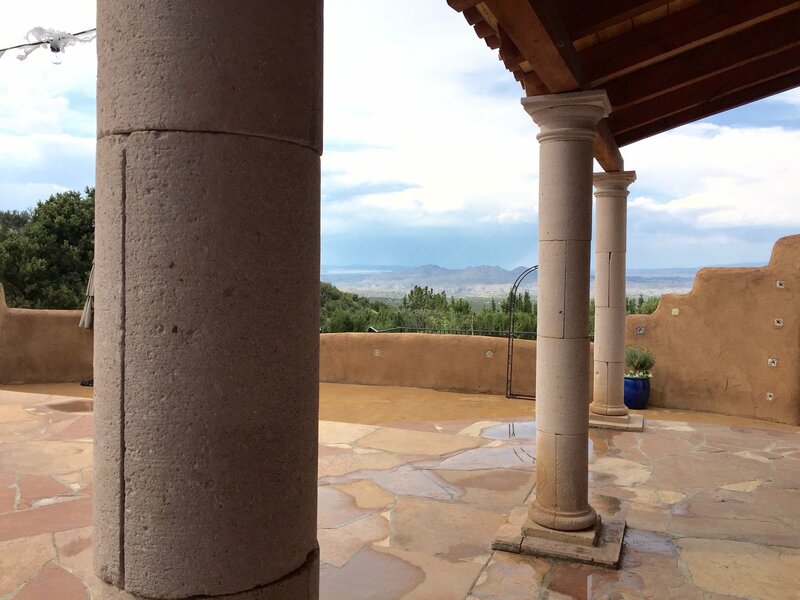 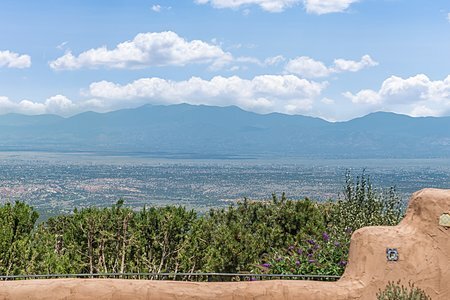 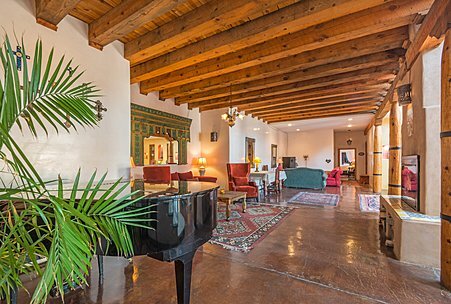 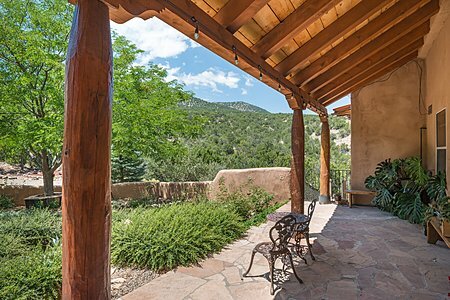 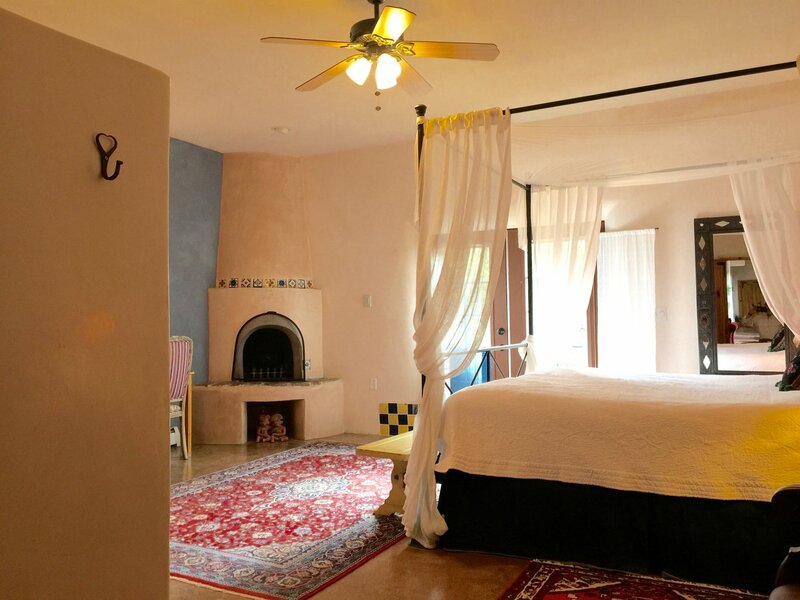 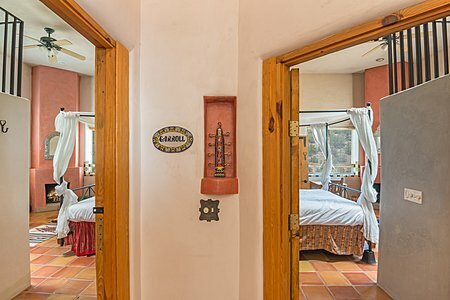 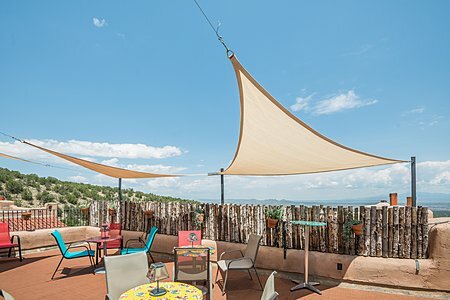 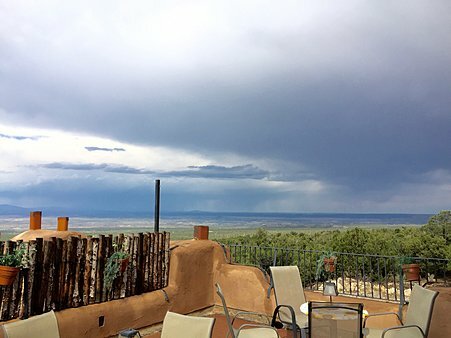 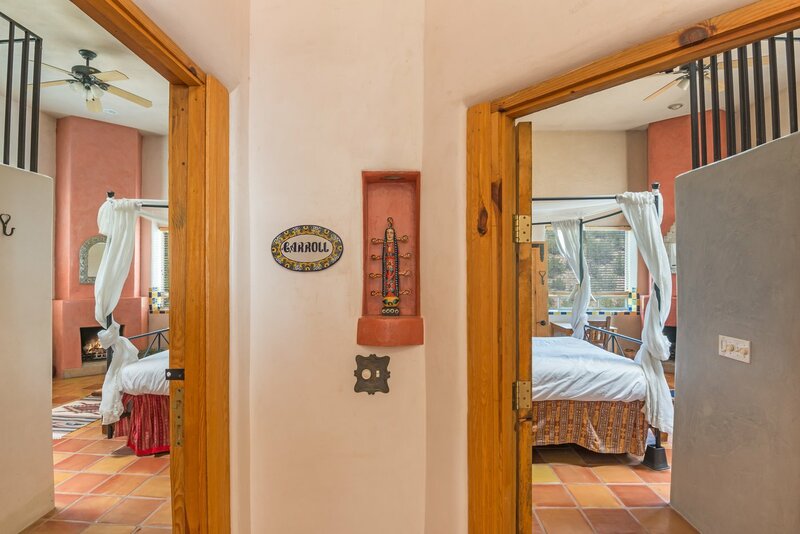 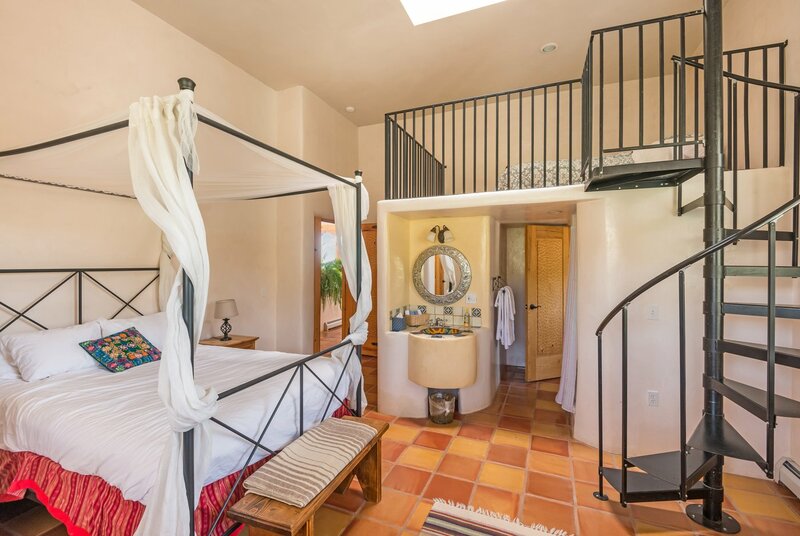 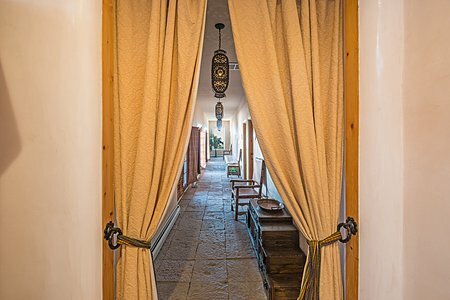 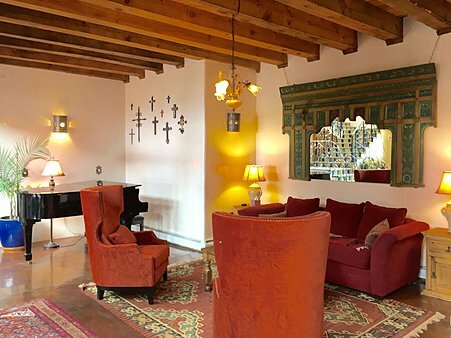 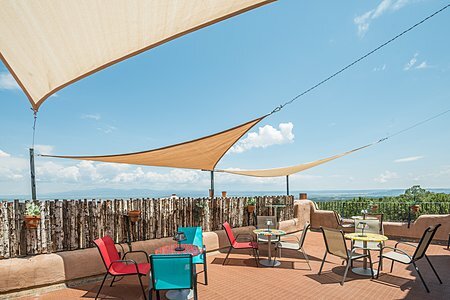 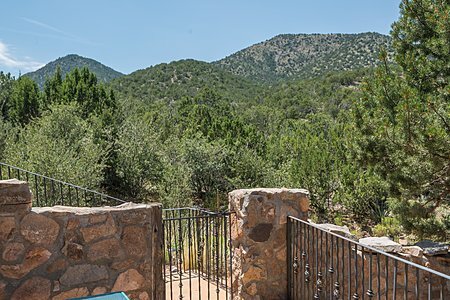 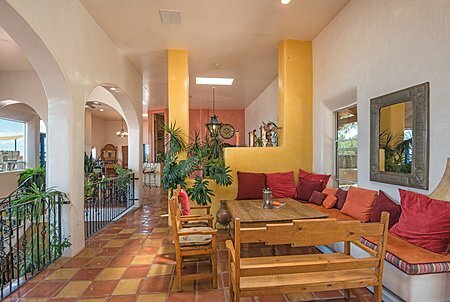 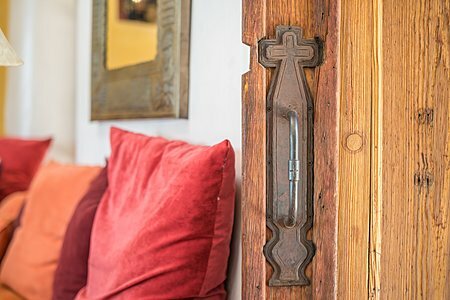 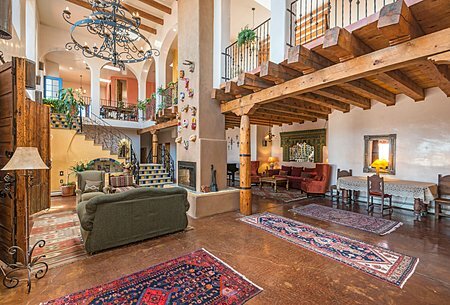 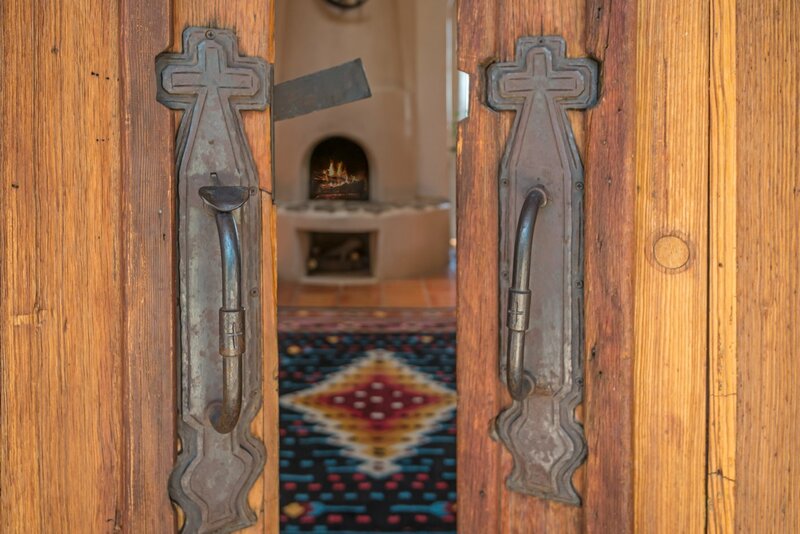 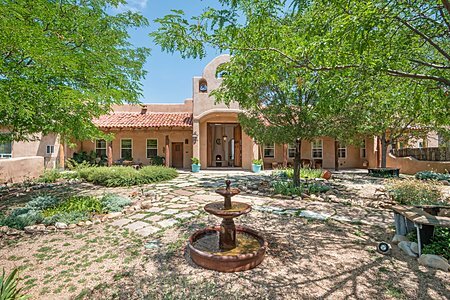 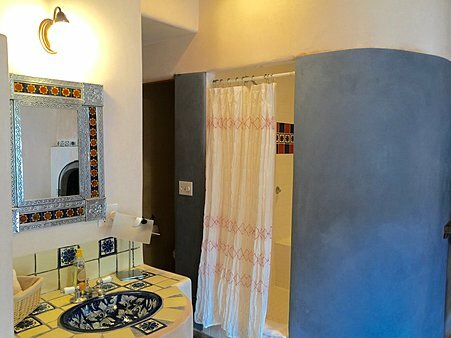 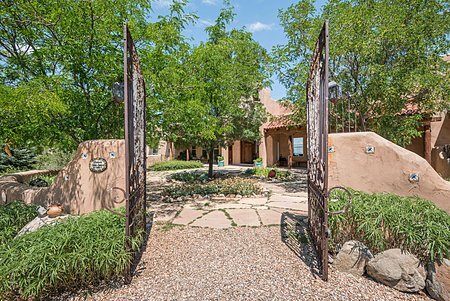 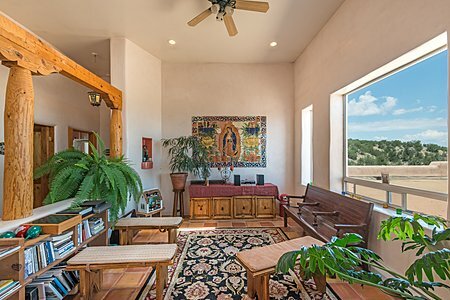 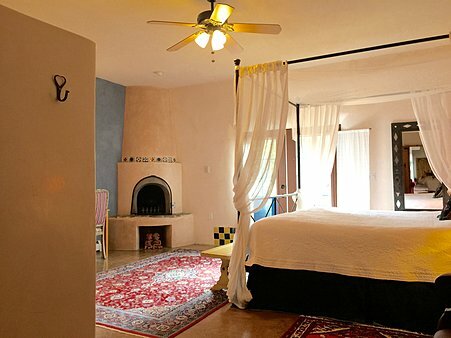 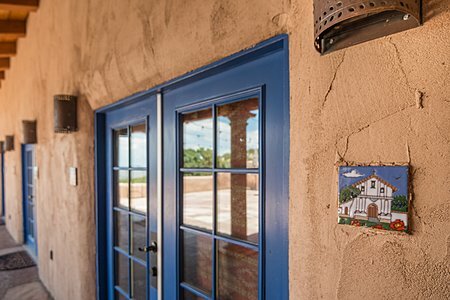 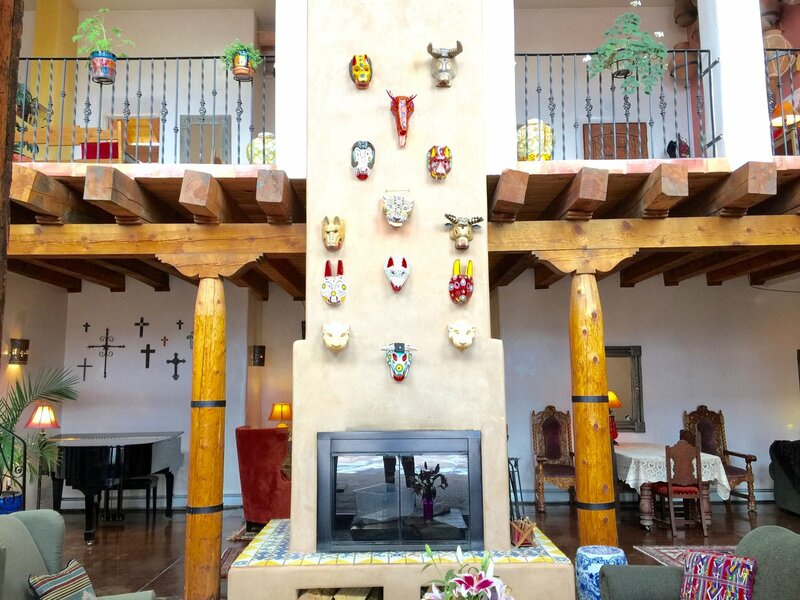 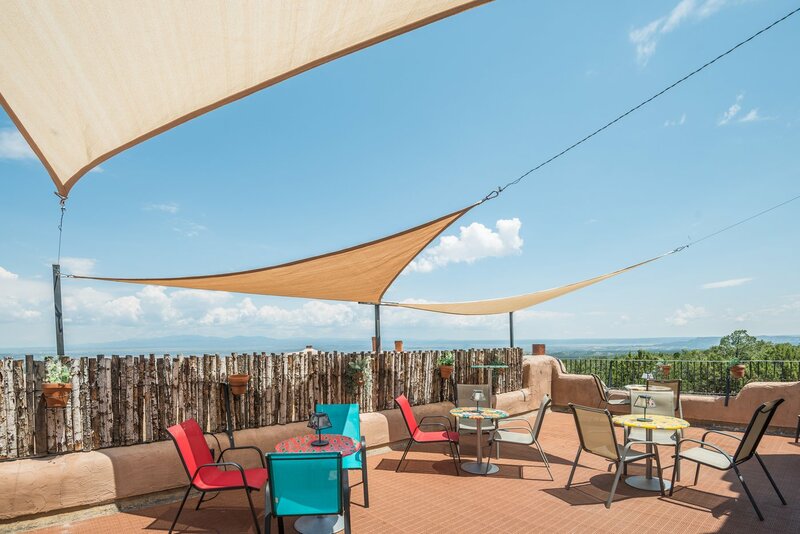 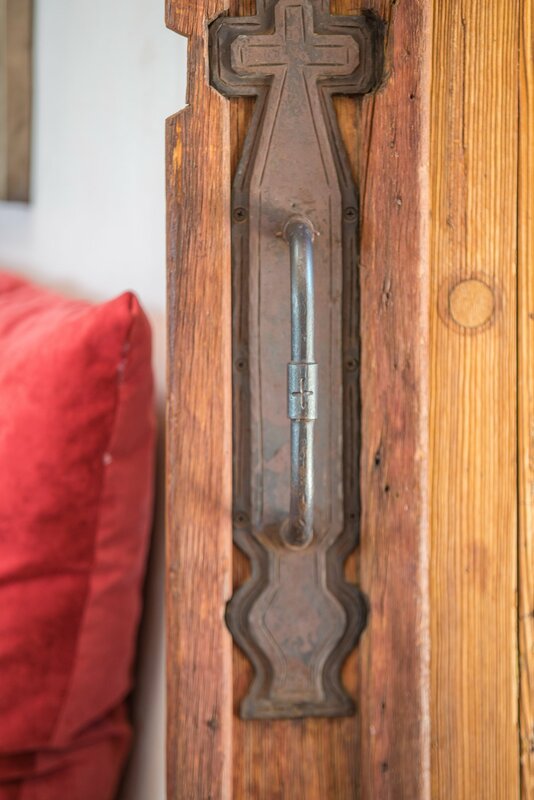 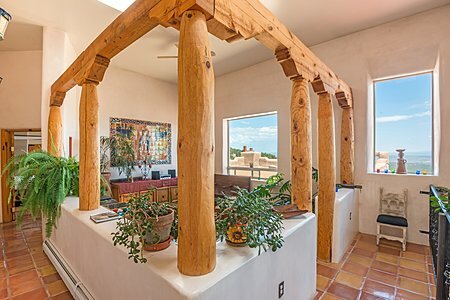 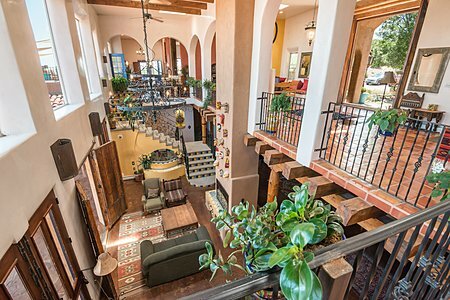 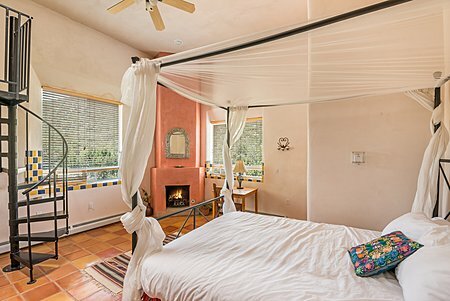 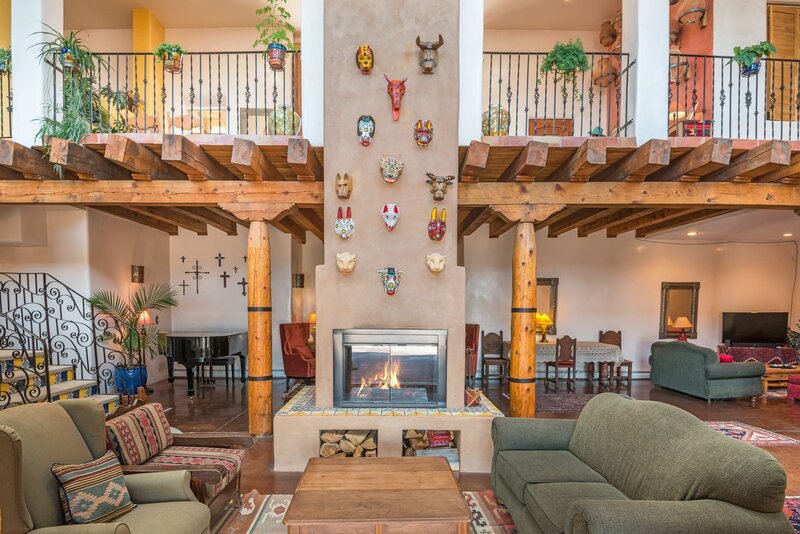 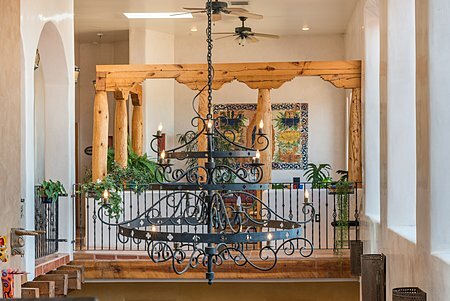 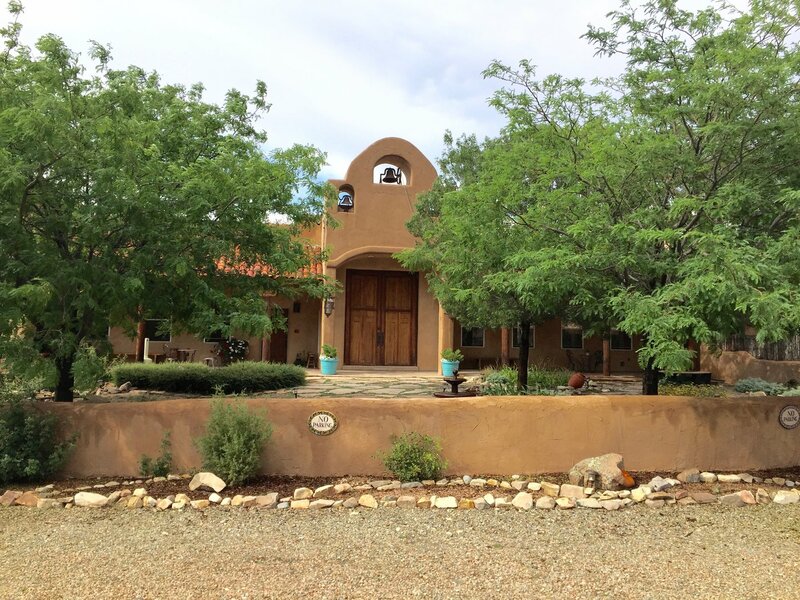 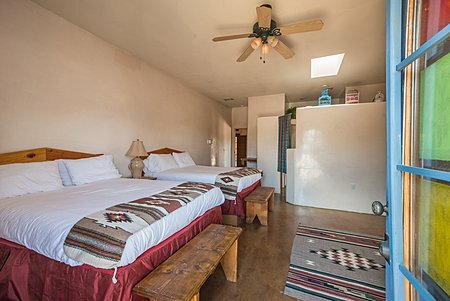 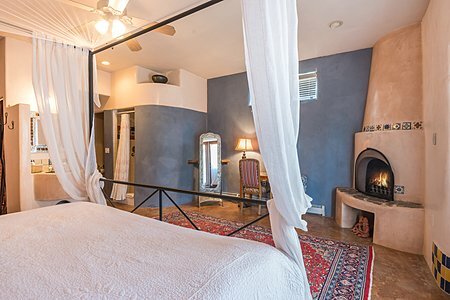 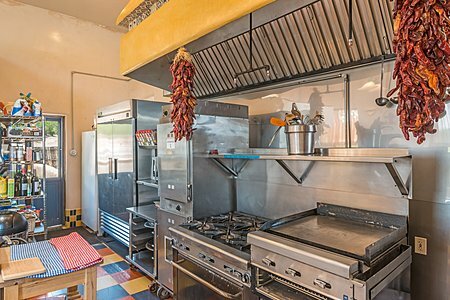 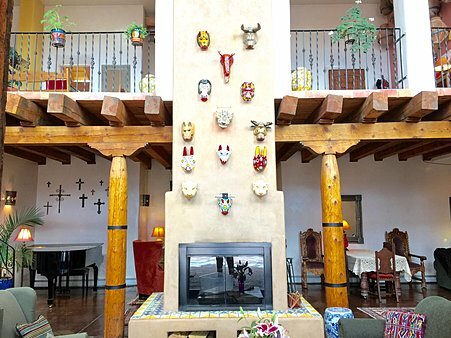 ft. mountain retreat and true hacienda with 100 mile views and less than 30 minutes from Santa Fe. 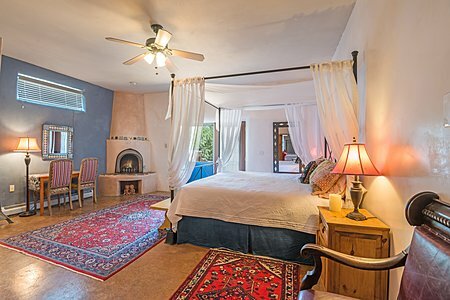 Since 2000 this 9 bedroom/12 bathroom property has been well known as a professionally operated and successful retreat, event and wedding venue. 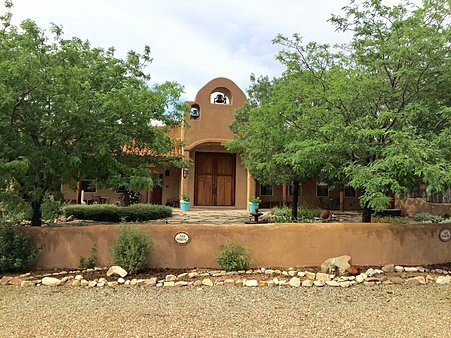 There is commercial zoning on this property. 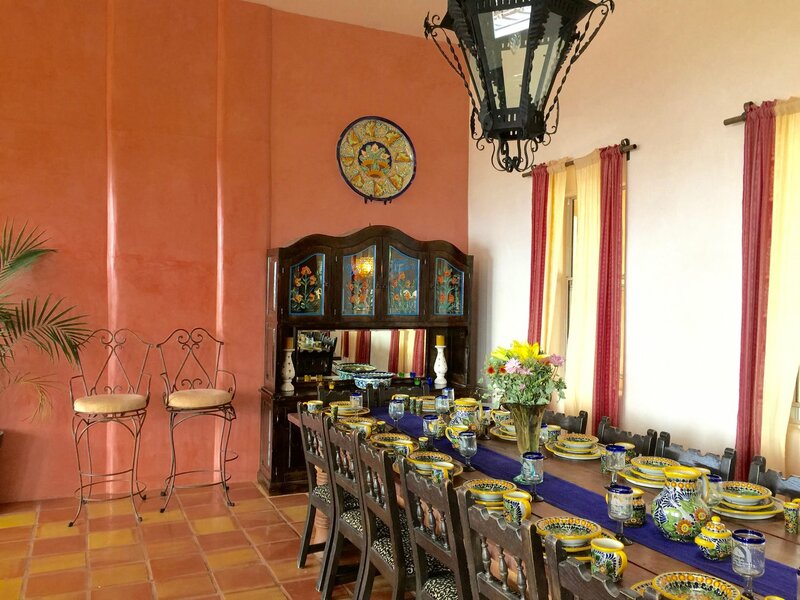 It is ideally suited as a bed and breakfast, vacation/reunion rental or film industry location. 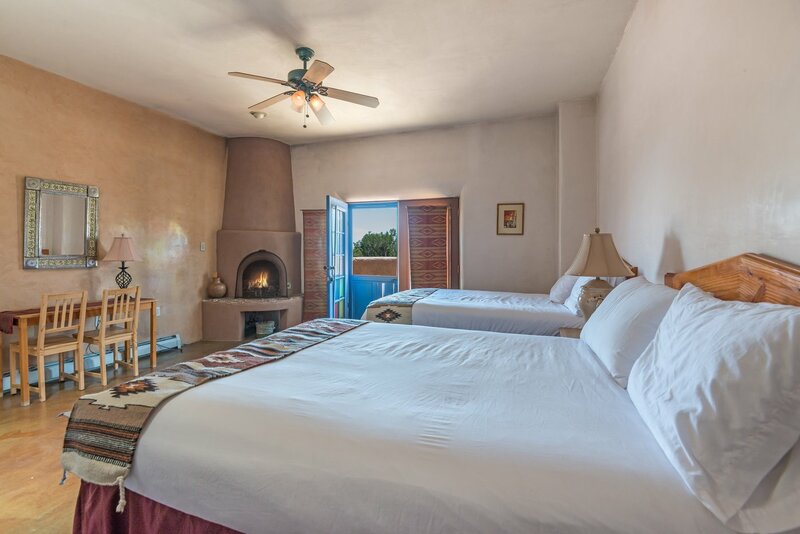 All bedrooms have en-suite baths & kiva fireplaces, patios or balconies. 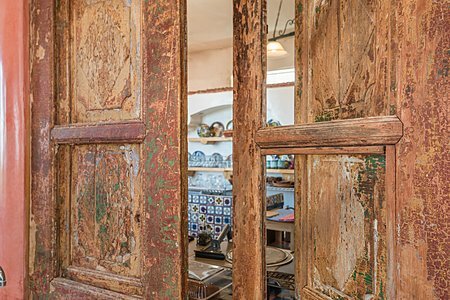 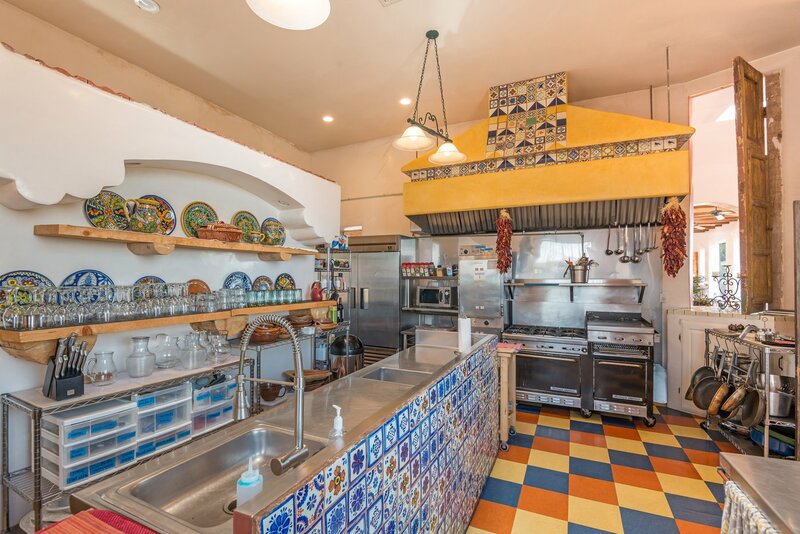 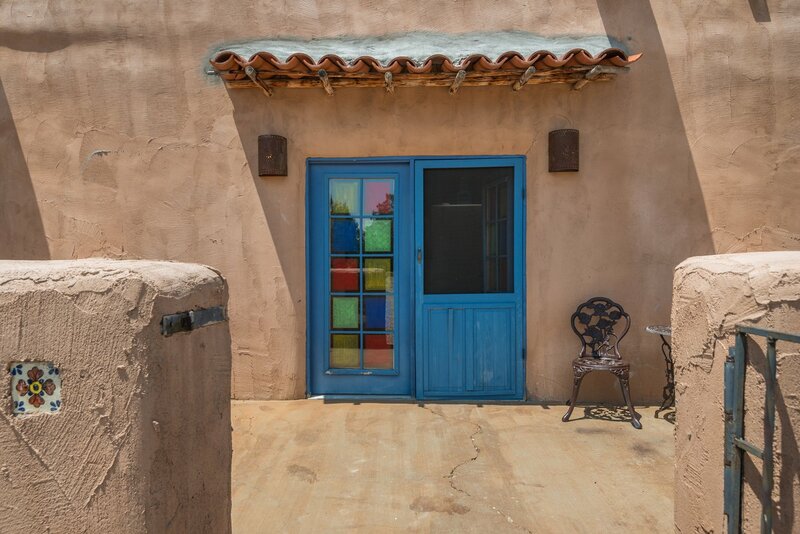 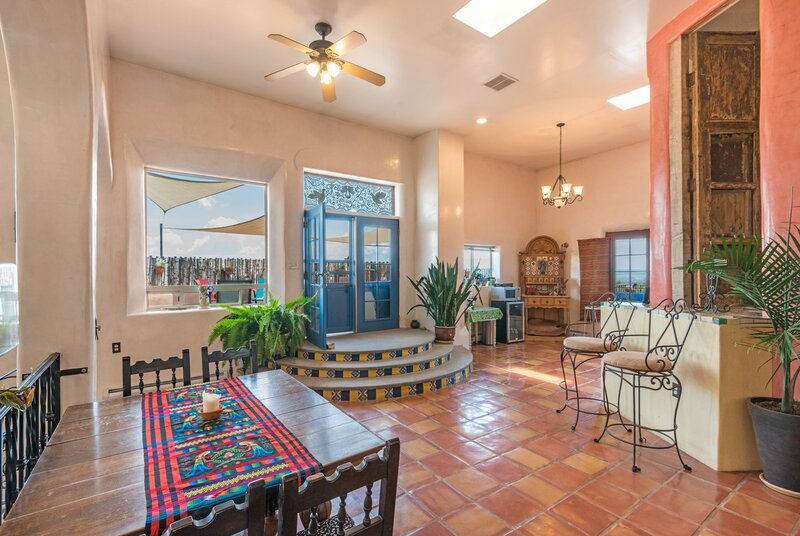 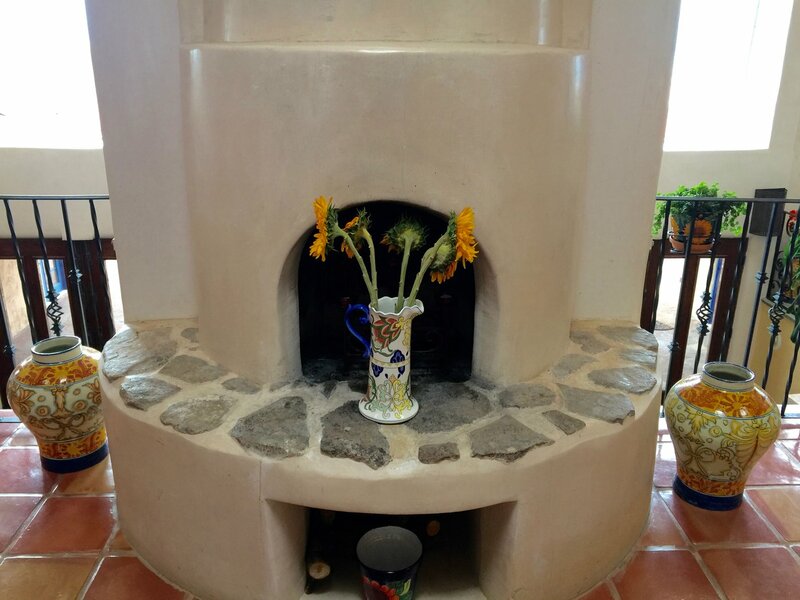 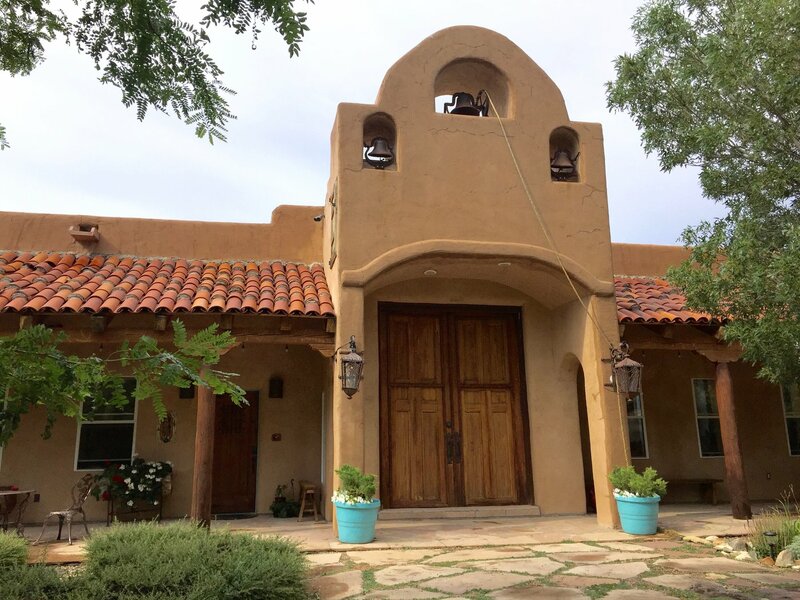 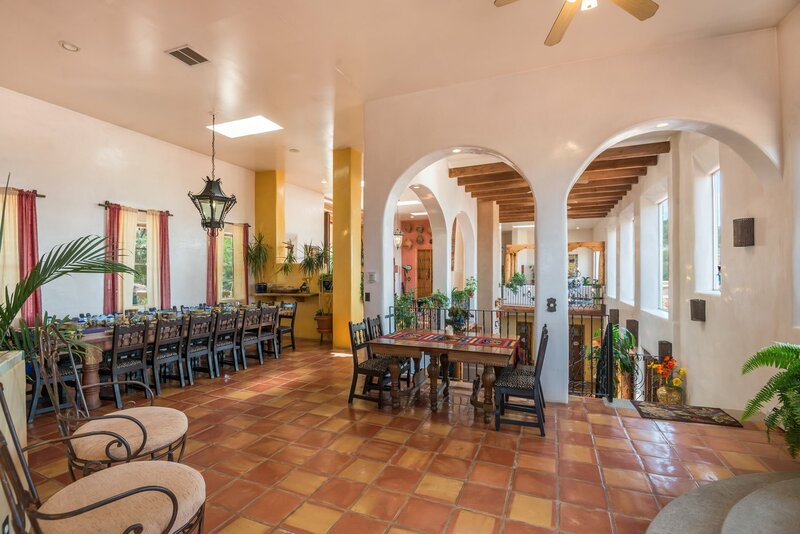 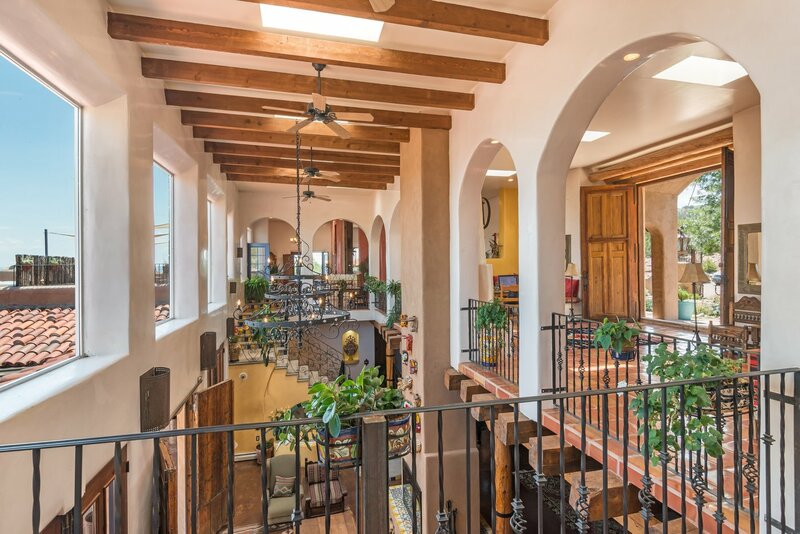 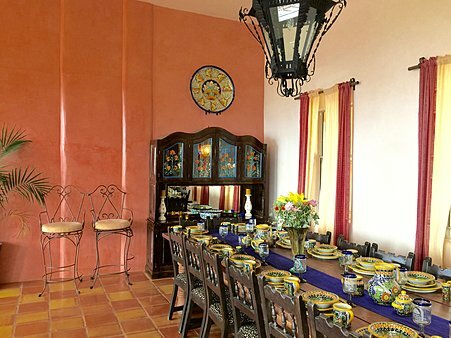 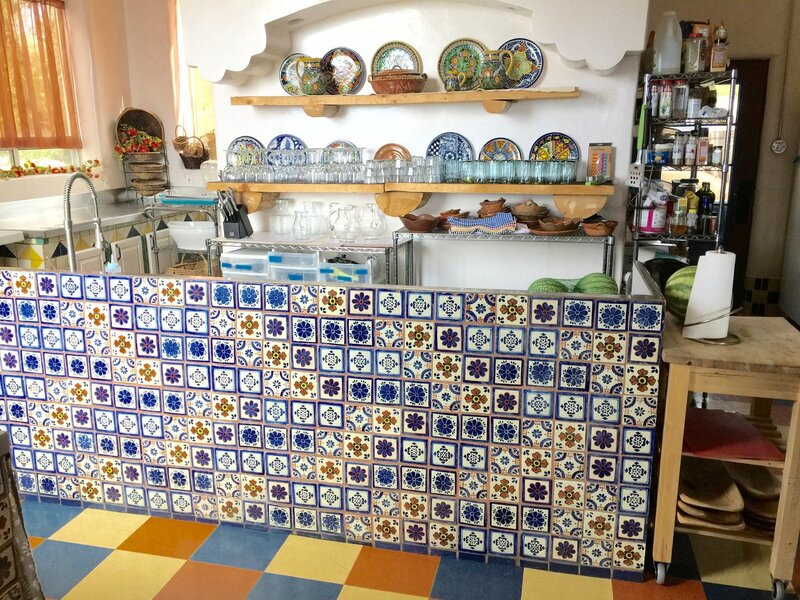 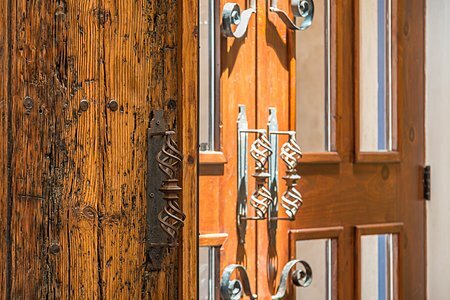 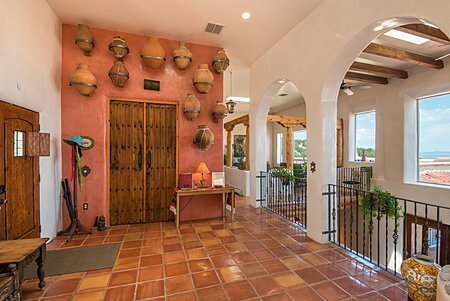 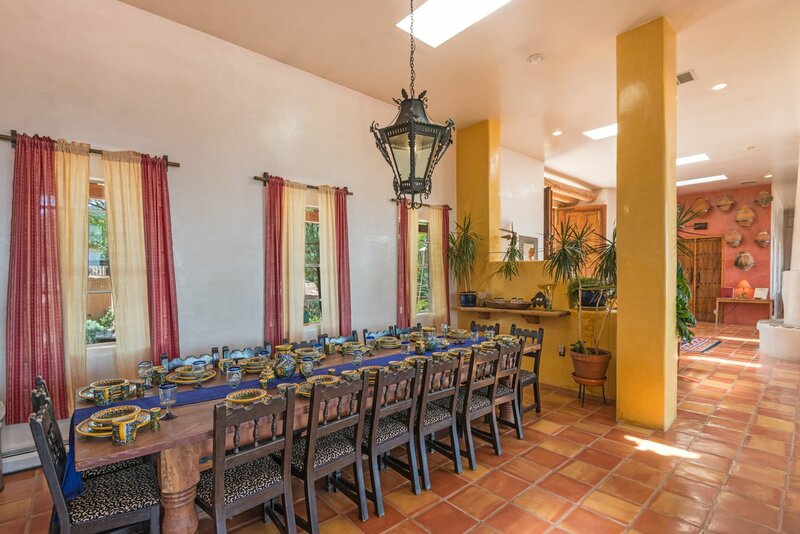 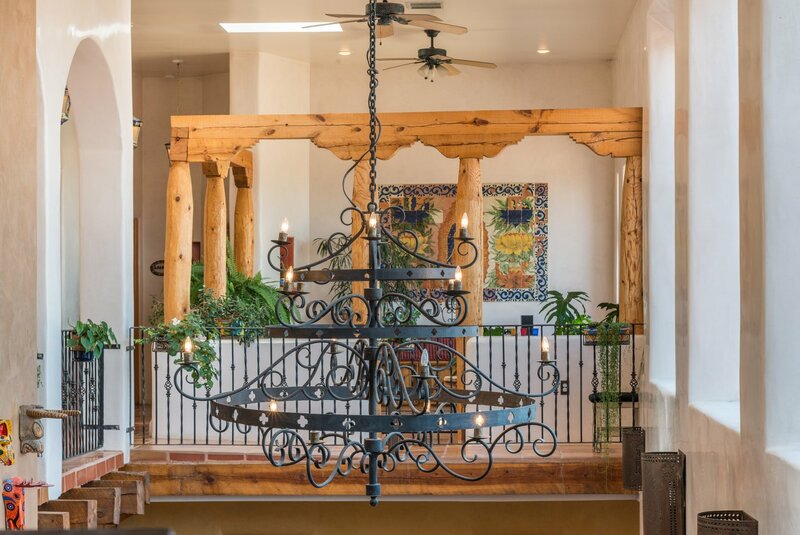 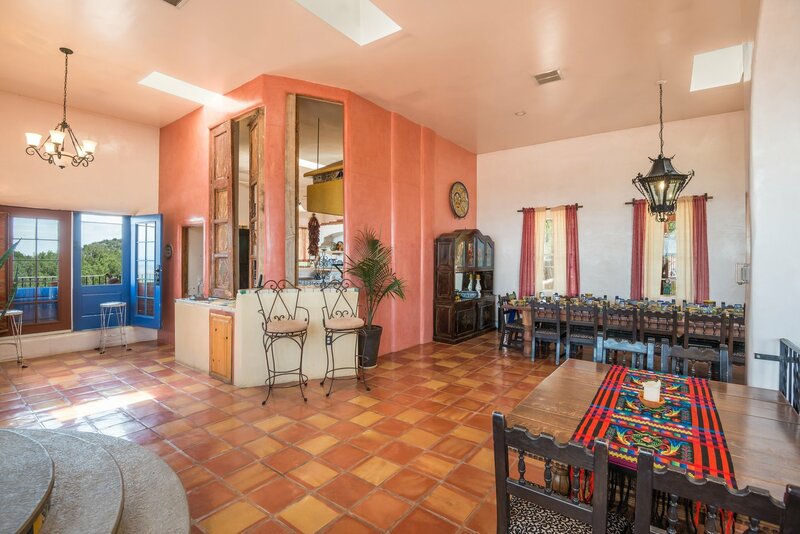 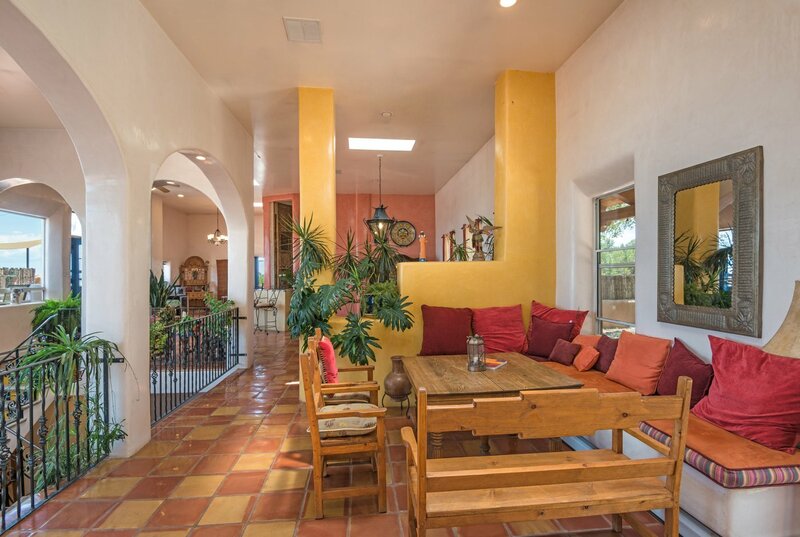 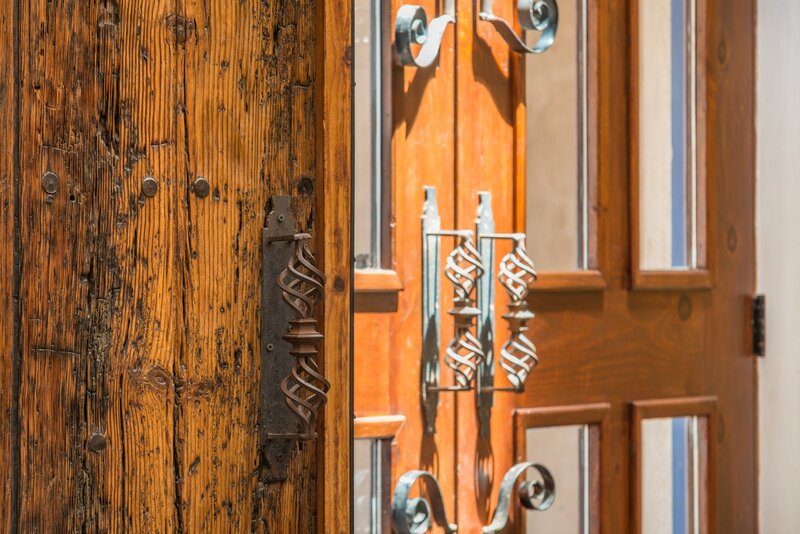 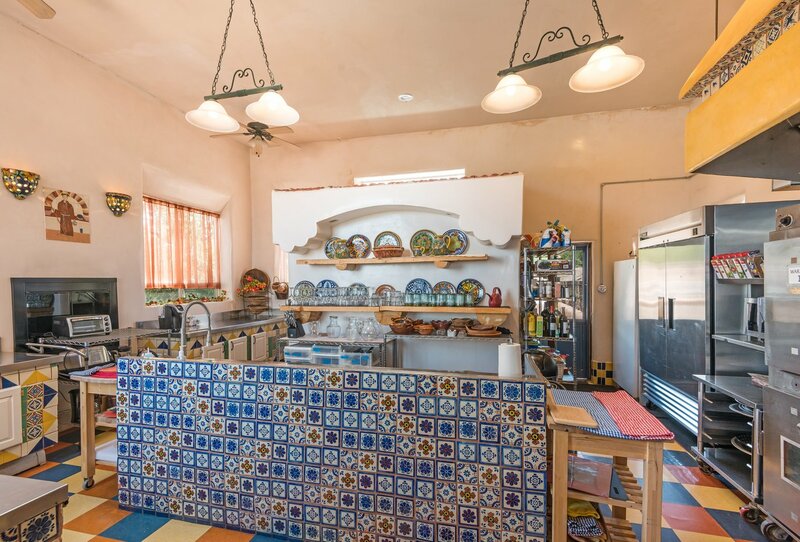 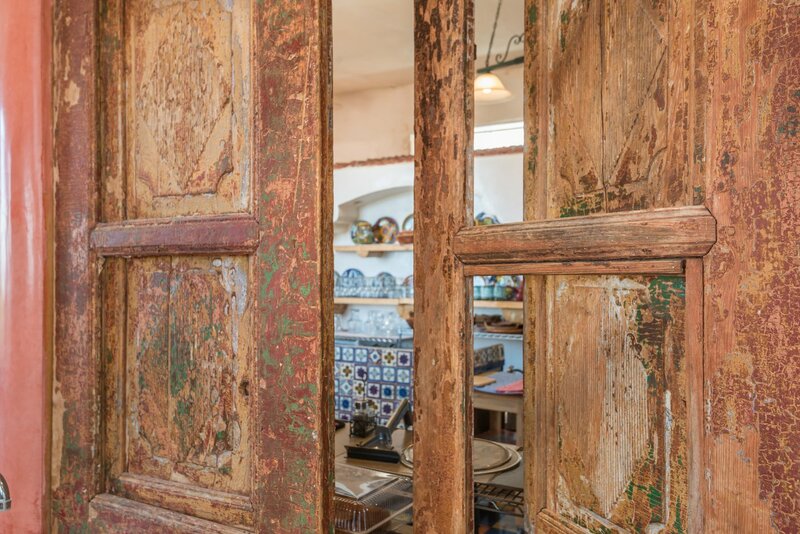 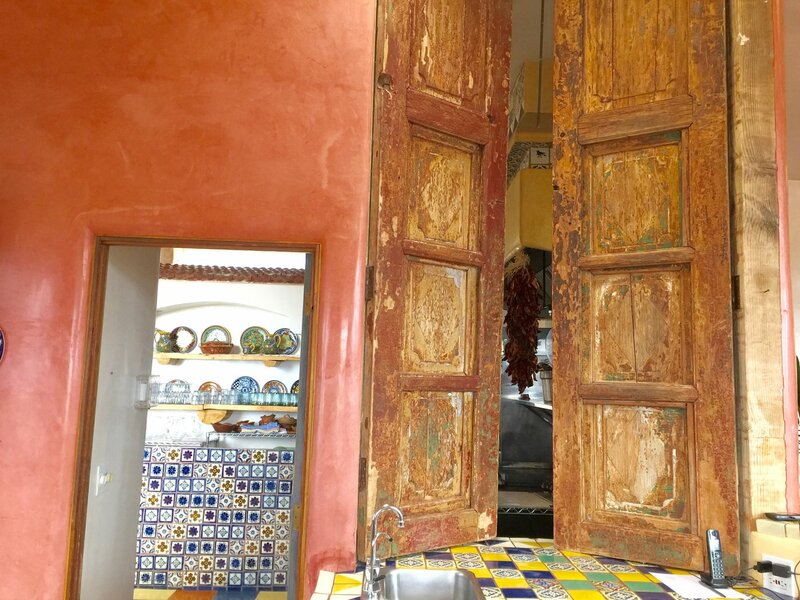 Beautiful details throughout with nichos, Mexican tiles, plastered walls, Saltillo tile, flagstone and concrete flooring, cast iron railings, commercial kitchen, chapel area, mature landscaping and expansive flagstone patio with panoramic views. Other details include ICF construction, strong private well that pumps to a 5000-gal cistern, two 1000-gal owned propane tanks, hot water baseboard heat, 2 multi-zone boilers, 12 fireplaces and a rainwater catchment system. 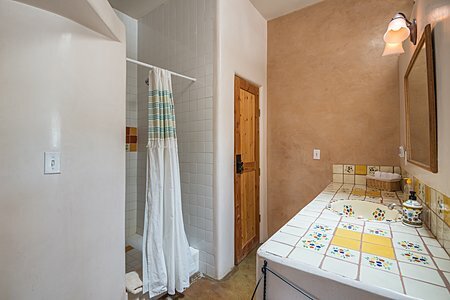 Square footage includes a 900 sq. ft. 1-bedroom attached apartment, storage rooms, and laundry room. The 63 acre property allows horses. 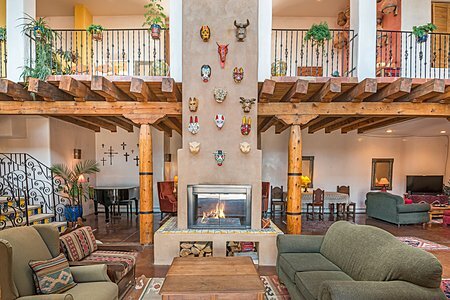 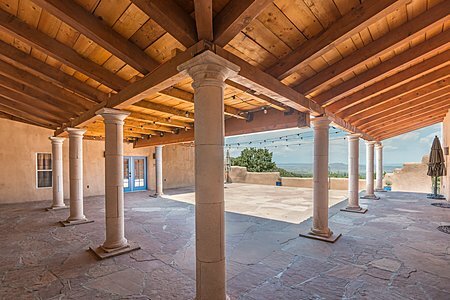 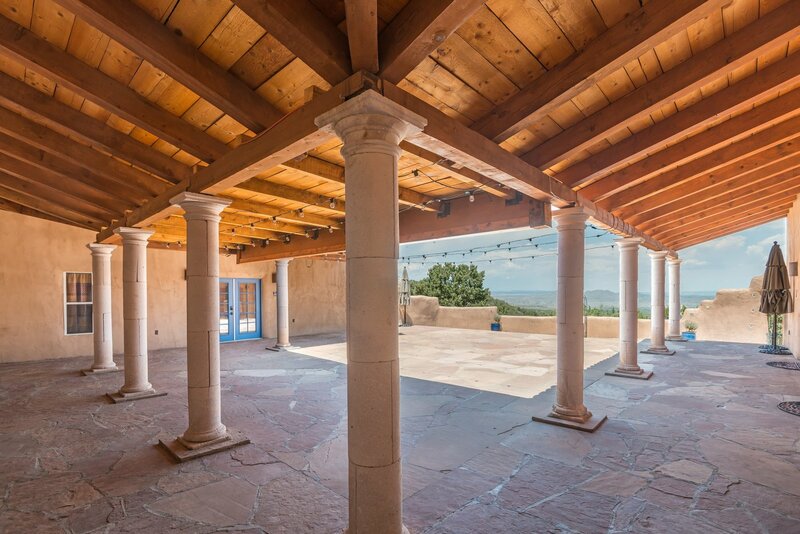 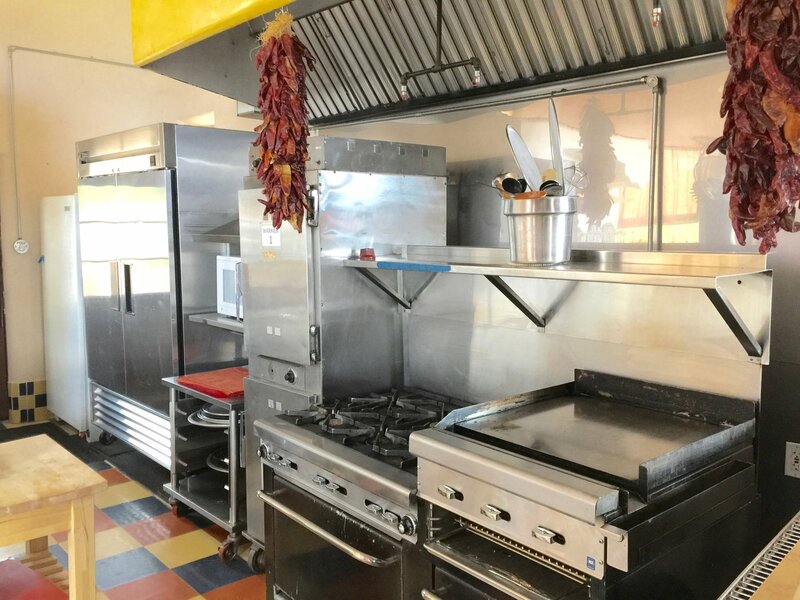 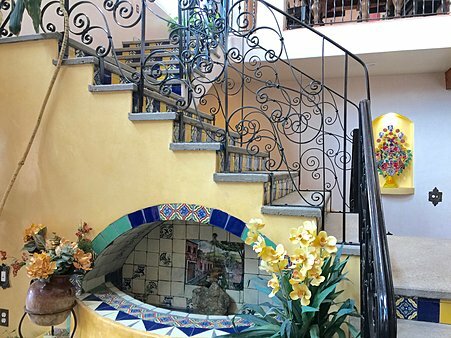 Come see this unique property and popular fiesta venue. 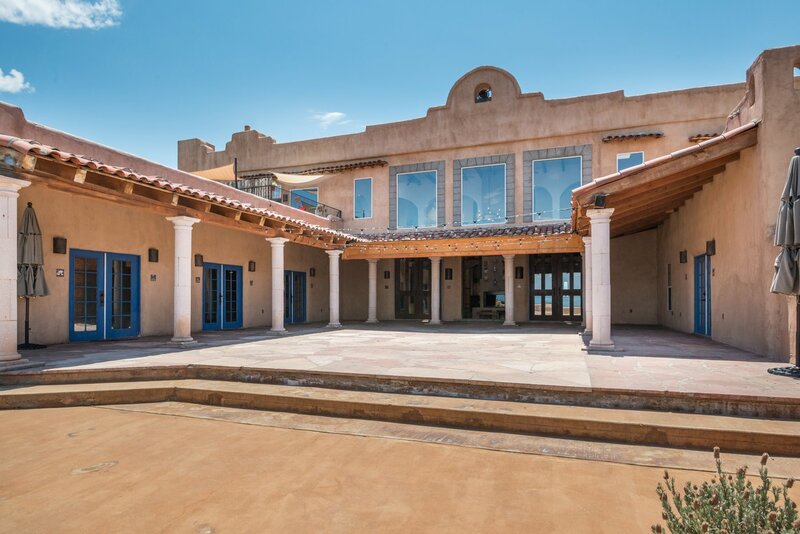 A spectacular property and an incredible opportunity.